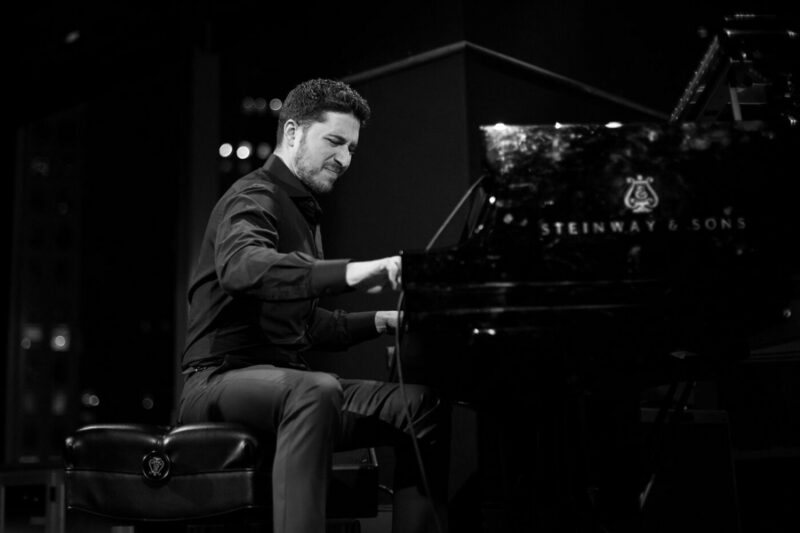 Multifaceted American jazz pianist and composer Emmet Cohen has emerged as one of his generation’s pivotal figures in music and the related arts. A recognized prodigy, Cohen began Suzuki method piano instruction at age three, and his playing quickly became a mature melding of musicality, technique, and concept. Downbeat observed that his “nimble touch, measured stride and warm harmonic vocabulary indicate he’s above any convoluted technical showmanship.” In the same spirit, Cohen himself has noted that playing jazz is “about communicating the deepest level of humanity and individuality; it’s essentially about connections,” both among musicians and with audiences. Possessing a fluid technique, an innovative tonal palette, and an expansive repertoire, Cohen plays with the command of a seasoned veteran and the passion of an artist fully devoted to his medium.